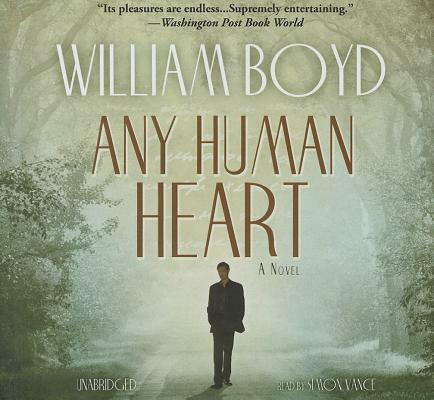 Bestselling author William Boyd--the novelist who has been called a "master storyteller" (Chicago Tribune) and "a gutsy writer who is good company to keep" (Time)--here gives us his most entertaining, sly, and compelling novel to date. The novel evokes the tumult, events, and iconic faces of our time as it tells the story of Logan Mountstuart--writer, lover, and man of the world--through his intimate journals. It is the "riotous and disorganized reality" of Mountstuart's eighty-five years in all their extraordinary, tragic, and humorous aspects. The journals begin with his boyhood in Montevideo, Uruguay, then move to Oxford in the 1920s and the publication of his first book, then on to Paris where he meets Joyce, Picasso, Hemingway, et al., and to Spain, where he covers the civil war. During World War II, we see him as an agent for naval intelligence, becoming embroiled in a murder scandal that involves the Duke and Duchess of Windsor. The postwar years bring him to New York as an art dealer in the world of 1950s abstract expressionism, then on to West Africa, to London where he has a run-in with the Baader-Meinhof Gang, and, finally, to France where, in his old age, he acquires a measure of hard-won serenity. This is a moving, ambitious, and richly conceived novel that summons up the heroics and follies of twentieth-century life.